"...on the other, the deeply flawed man behind the machine, Dr Feng-Hsiung Hsu (an excellent, oft heartbreaking Kenneth Lee), a striving immigrant who's working hard to rid himself of his residual humanity..."
- NY Magazine, "The Machine"
"This called for, and received, some remarkably supple and versatile acting from... Kenneth Lee who oscillated brilliantly as Hsu between his days as an awkward geeky youth and the self-assured master of his computer field taking on the world's greatest chess brain." - The Independent, UK, "The Machine"
"Rourke's production...boasts strong performances from Hadley Fraser and Kenneth Lee as Kasparov and Hsu." -The Guardian UK, "The Machine"
"If Kasparov and Hsu were well-matched, so are the actors playing the roles... Both handily project outsized characters and draw us into the drama." - Playbill.com , "The Machine"
"Both the actors... were positively balletic in their movements. Kenneth Lee's performance of Feng Hsiung Hsu is wonderful. He is an absolutely adorable character with such ambition it renders him completely numb to human emotion." -The Good Review , UK, "The Machine"
"...the recreation of the final game is genuinely tense, Hadley Fraser and Kenneth Lee are engaging as the leads..."
- The Stage, UK, "The Machine"
"Kenneth Lee convinces as Hsu, the single-minded research scientist." - The Arts Desk, "The Machine"
- Manchester Theatre Awards, "The Machine"
"Kenneth Lee's Dr Hsu is equally good - a vulnerable, geeky genius." -Sarah Irving, Wordpress, "The Machine"
"...the playwright has made the inspired choice of featuring Dr Hsu (Kenneth Lee) as a major dramatis persona in the story..."
- Broad Street Review, "The Machine"
"The entre cast is exemplary... especially in this Outstanding Production...should Tour the World." "...tautly entertaining and superbly acted... the team behind Deep Blue - headed by the ingenious coder Feng-Hsiung Hsu (Kenneth Lee)... vies for our sympathy." - Entertainment Weekly, "The Machine"
"The direction is electric, and the acting often febrile, with...Kenneth Lee a commanding Hsu..."
- The Westchester Guardian, "The Machine"
"Kenneth Lee is wonderful as the awkward student Hsu who becomes the still-awkward but brilliant scientist." - British Theatre Guide, "The Machine"
"Kenneth Lee is magnetic as the geek at home with technology but at a loss with human love." - What's On Stage, UK, "The Machine"
"..However it is Deep Blue's developer Feng Hsiung Hsu, played by Kenneth Lee, a computer nerd obsesssed with success at all costs, who is by far the most fascinating character." 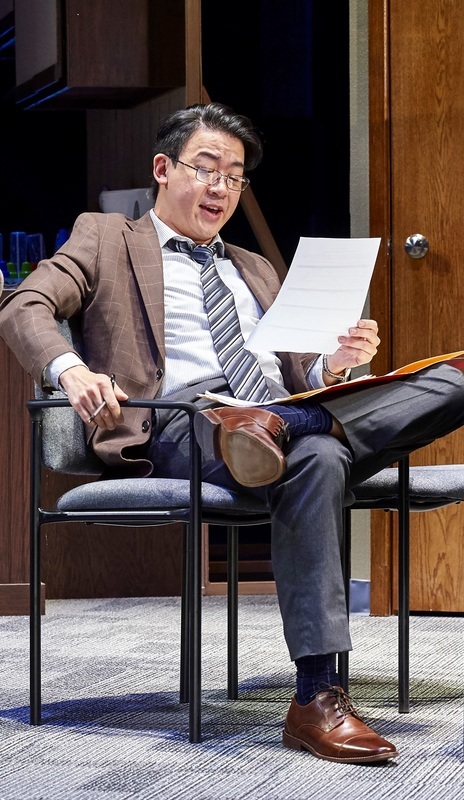 - UK Theatre, "The Machine"
"Kenneth Lee plays the uber-geek Dr Feng Hsiung Hsu with just the right amount of charm yet is as quietly committed and forceful as Kasparov himself." - Manchester Mule, "The Machine"
"Kenneth Lee's transition from bumbling and awkward techy dork to undauntable stubborn genius... is a convincing one." - Manchester Confidential, UK, "The Machine"
"Excellent performance... by Kenneth Lee as Deep Blue mastermind Feng-Hsiung Hsu, everything you imagine a computer geek to be." -The Oldham Chronicle, UK, "The Machine"
"...Kenneth Lee is alarmingly laser-focused as Hsu.... Lee's most chilling moment comes at the end...(when) he denies Kasparov the courtesy of a rematch, telling him, "It learned you, Gary. Things are going to be very different now." "... Lee brings the right amount of tightly wired pathos to poor Hsu..."
- Slant Magazine, "The Machine"
"Kenneth Lee is polished as Lin Bo, whether waxing philosophical about the contemporary art scene, or being grilled about the details in his memoir... Along with Lee, (the cast is) agile in their ability to switch gears from scene to scene... a bit of a mindfuck..."
- St Louis Theatre Snob, "Caught"
"Lee does a fine job with the twists of the evening." - St Louis Eats and Drinks, "Caught"
"...thanks to (director Seth) Gordon's light touch and the four fine actors, "Caught" never feels sober or self-serious. " - St Louis Post-Dispatch, "Caught"
"...I have to credit (the cast) because of their excellent performances with comic and dramatic twists"
- Snoop's Theatre Thoughts, "Caught"
"Gordon elicits fine performances from his quartet of players... Kenneth Lee adeptly conveys the character of Lin Bo (and himself) as at times charming, defensive, outrageous, poignant and silly, not at all easy given the circumstances." "Lin Bo, a personable Kenneth Lee (leads) a stellar cast... into an "Alice in Wonderland" for the modern age." - Stage Door St Louis. "Caught"
"The sharp cast never tips its hand... Kenneth Lee is convincing as Lin Bo..., and the timing is impeccable." "It is... superbly acted. Mr Lee manages to make Lin Bo just phony enough to make his subsequent unraveling credible, but not so obviously bogus as to give away the game too early." "...Director Seth Gordon has brought Mr Bo (Lee) in for this bracing local debut, with painstaking detail in triggering both laughter & tears - well tears provoked by laughter... in this spectacular of the mind"
"...the acting by this ensemble of players is excellent.... Lee, as Caroline's micromanaging supervisor, handle(s) the playwright's abrupt shifts in their characters' intentions with incredible dexterity and conviction"
- The News-Herald, "Luna Gale"
"Caroline's boss (is) a paper pusher played with humanity by Kenneth Lee..."
- The Plain Dealer, "Luna Gale"
"The cast.... is universally strong...the acting (is) topnotch, the directing (by Austin Pendleton) spot on. - Cool Cleveland, "Luna Gale"
"As for the performance, it is stellar...Kenneth Lee as Cliff ... (and) the entire cast is well suited and work well together under the superb direction of Austin Pendleton. - AXS.com , "Luna Gale"
"...the cast....is up to the challenge... Kenneth Lee's Cliff is exactly as frustrating as you'd expect him to be...The stakes in this play are high and the characters....feel real and significant." - Cleveland Scene, "Luna Gale"
"Kenneth Lee gives an engrossing and intelligent performance as Miyamoto... bring(ing) a quiet strength to the role"
- Proscenium View, "Snow Falling on Cedars"
"...Mr Lee conveys that same (timeless) aspect of honor and fidelity." - Drama Urge!, "Snow Falling on Cedars"
"Kenneth Lee conveys the proud, defiant nature of Kabuo." - The Baltimore Sun, "Snow Falling on Cedars"
"...subtle acting... a touching performance"
- What's Up? Mag, "Snow Falling on Cedars"
"Fortunately, Center Stage is aided by a stellar cast, led by Laura Kai Chen as Hatsue and Kenneth Lee as Kabuo... 'Snow Falling on Cedars' is riveting entertainment...superb acting and direction." "... in the courtroom, actor Kenneth Lee plays Kabuo with really a ramrod posture and he stares straight ahead and he has his chin raised almost the whole time...remarkable." - WYPR MD Morning, "Snow Falling on Cedars"
"The distinctions between (his)...several roles are continuously impressive." - DC Metro Theatre Arts, "Chimerica"
"Fine uniform performances ...the exchanges (between the brothers) ... are scintillating in their cultural sharpness." 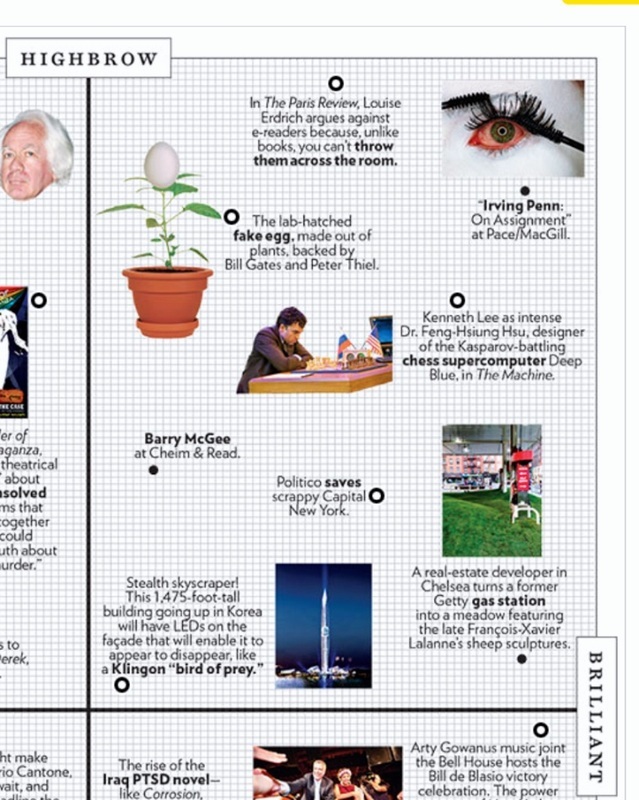 ​- MD Theatre Guide, "Chimerica"
"The acting... (is) unassailable... a cut above the original." "The ensemble is uniformly strong..."
- MD Theatre Guide, "Poe"
"The fine cast of actors... are all terrific." - The Baltimore Sun, "Poe"
"...the kind doctor administering to Poe in the Hospital (is) played wryly by Kenneth Lee..."
- Steve Charing, OUT, "Poe"
"Kenneth Lee, as a sympathetic doctor..(is) solid ..."
- Baltimore Post Examiner, "Poe"
"...this 'Hamlet' is well cast, every actor adept at finding a clear purpose..."
"Kenneth Lee ...brought Horatio to life...(he) manages to bring out the poet in Horatio...His strength as an actor makes it OK to take a backseat to Hamlet’s ramblings, and his feeling certainly comes out as the play nears its completion ... In short, I love Horatio - or Lee playing Horatio - in the Rep’s Hamlet." "...the 10-person cast delivers dedicated performances"
- NY Theatre Now, "Ethel Sings"